In the last blog, I mentioned the benefits of pond fishing, namely that they provide fishing opportunities at times of the year when larger reservoirs do not (shallow, ponds typically warm quickly on an unusual warm day in winter, or at the first hint of spring). Ponds also often provide convenient quick, close-to-home trips as opposed to a long road trip one might have to take to a large reservoir. With all this in mind, I continue my pond-fishing tips. And this one involves another plus for fishing small waters–you don’t have to have a boat. Now admittedly, some anglers would see no boat as sacrilegious, but many anglers don’t have boats, not yet, anyway, and then too, some ponds are so small that fishing from a boat is not necessary. Therefore, at some ponds you fish afoot. Is there technique for walking the bank, fishing a small pond? Sure. When you walk the bank, it’s important to be as quiet as possible and to fish each area thoroughly. Use a series of fan-casts. Start with a cast as close to the bank as you can. Then, on your next cast, place your lure out just a shade farther. If your first cast was at the 9 o’clock position, for example, make your next cast at 10 o’clock and so on. This way you’ll cover the area very well. If this fails to produce a fish, you might change lures, or move down the shoreline a short distance and repeat the same motions. As you move from one spot to another, it’s best to circle out away from the shoreline if at all possible, 30-40 feet is a good distance. By circling out, this will help prevent spooking fish along or close to the shoreline as you fan cast around the 2-3 o’clock position. As I mentioned in the previous blog, sometimes we go fish a pond simply because it is quick and convenient, a place we can go fish for an hour or so, just to cure that ever-present itch to fish. So this begs the question, how does one thoroughly fish a pond on budgeted/limited time? When you’re short on time, you should concentrate on the following: a point that extends out into the lake, which gives bass the option of having both shallow and deep water. A pocket that’s shallow where bass can dart up into and feed or may be where a little creek, branch or ditch enters the pond, especially after a rain where fresh water is flowing in, or perhaps where the water is draining out, creating a current. And of course, look for any type of object in the pond, such as a stump, log, brush, vegetation or tree top. One other overlooked place you sure don’t want to pass up is a shady area caused by a tree or other high object that casts a shadow out on the water. Bass use these shady spots just like other objects in the lake. It’s also important to always be observant — watch and listen for any feeding sound. 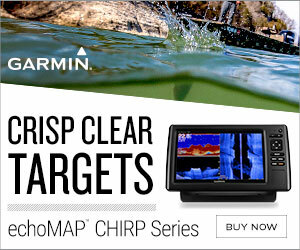 It could be a bass, and this will tell you instantly what area of the pond you should be fishing. That’s all for now, ’til next time, catch one for me!